The Yacht Efficiency Summit brings leading figures in the superyacht sector together with Family Office representatives for an afternoon of enlightening talks. 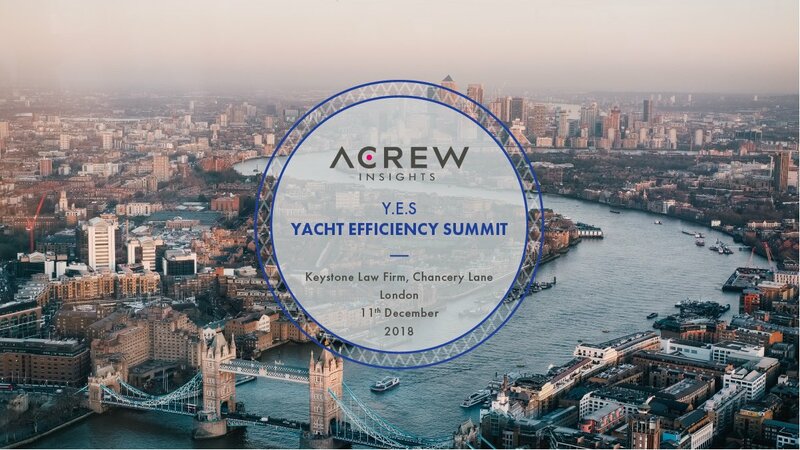 The summit will be held in the prestigious Keystone Law firm and provides an insight in to how superyachts can be managed optimally to maximise the guest experience whilst minimising the expenditure. Together they offer insights and intelligence on how to efficiently manage the running costs of a superyacht. Conversation will focus on the future of chartering, intelligent berth ownership, better crew retention and operational cost savings. This complimentary event is brought to you by ACREW – Places are limited to 20 Family Offices Representatives – RSVP to abi@acrew.com to secure your place.